July 2014 sees the biggest product promotion we have ever ran at Q Hair and Beauty! During the whole month you can take advantage of our 3 for 2 promotion** on all* Paul Mitchell Products! (*Excluding travel sizes) This applies to all ranges of Paul Mitchell and are 100% Mix and Match! 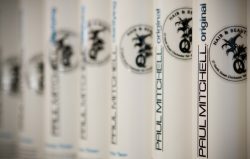 Take home a litre of salon favourite Paul Mitchell Lavender & Mint Shampoo & Conditioner 1000ml & Mitch Double Hitter 2 in 1 Shampoo & Conditioner for Men 1000ml for £67.90! That’s a saving of almost £30! If used in correct amounts, this should last you well into 2015! Our Second treat for you is a MASSIVE Triple Points on all Clarins Products! This includes all Clarins products from Make up, body, face & everything else! 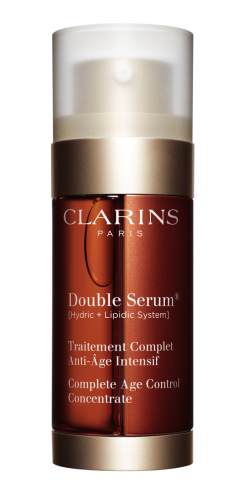 Clarins Double Serum 30ml (£55) With 1 sold every 30 seconds, and 9 awards during 2013. You know this works! Clarins Hand & Nail Treatment Cream (£21) Salon Favourite product! That’s a total of £54.60 worth of rewards! We are sure we will see you very soon!! This entry was posted on Monday, June 30th, 2014 at 1:43 pm by Kain and is filed under Promotions.